Sabich is next to Falafel one of the most delicious sandwiches from Israel. Israeli people usually eat it for breakfast or buy them on the street. Apparently sabich was brought to Israel by Iraqi Jews in the 40s. 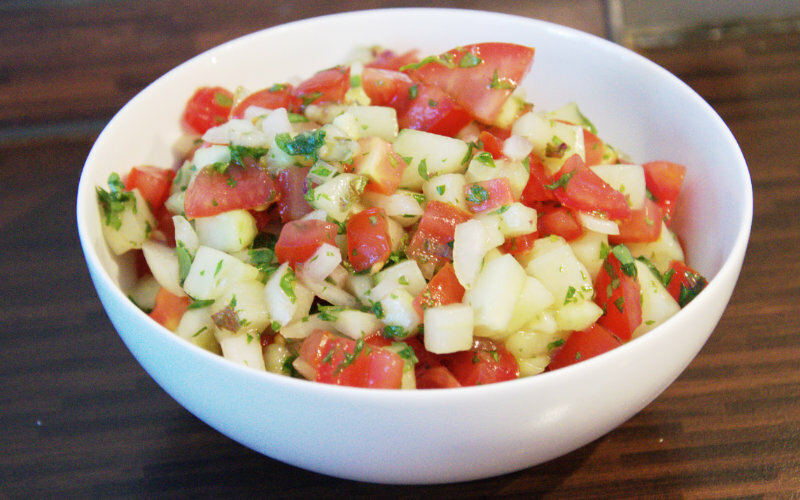 The Iraqi Jews used to eat this precooked mean on the Sabbath, because at that day cooking is not allowed. The sandwich is a pita which is filled with fried aubergine slices, slices of brown Jewish-Style eggs (and no, you cannot substitute that with hard boiled eggs), hummus and tabouleh. 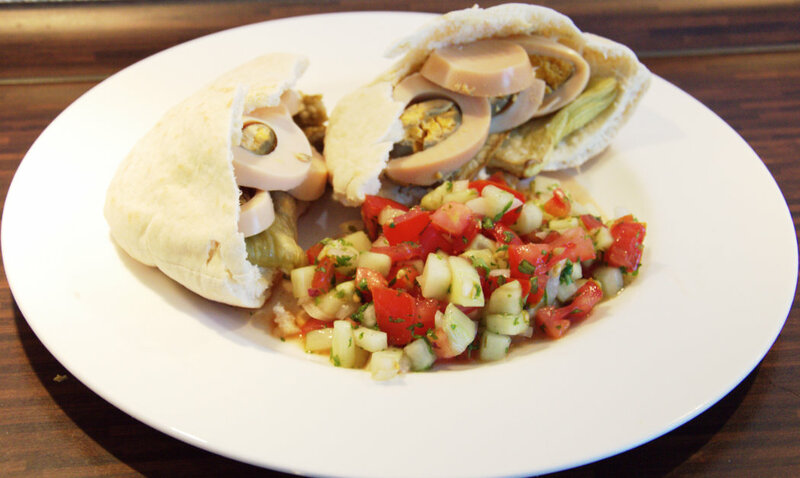 There are also some recipes containing ambra (mango sauce) and Israeli pickles. The Jewish-Style eggs are cooked in oven overnight and because of the long cooking process they become brown. The taste also changes – they get kind of smokey taste which is weird but very tasty. 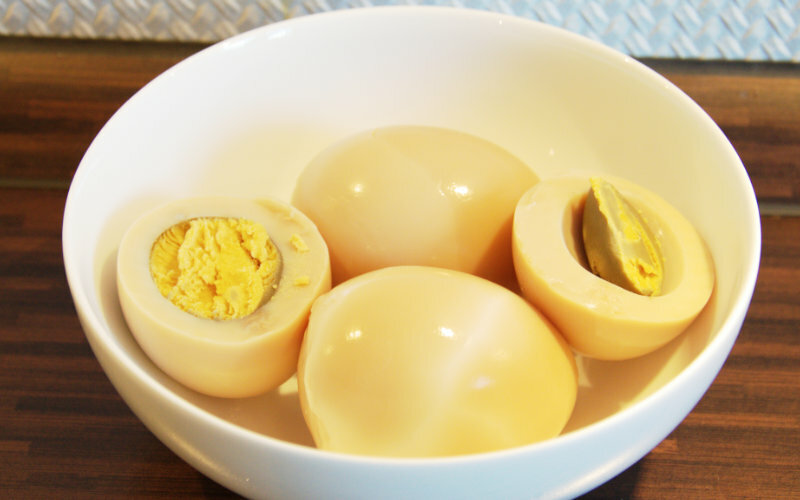 It was very surprising for me because I thought I have eaten cooked eggs in all possible ways. Oh well, I will certainly never think that again! This will be the last blog post from Israel. That was great adventure cooking something from different culture, with completely different ingredients and spices. I am really looking for more of such opportunities! Cut aubergine lengwise into 0,5cm long slices. In the large pan preheat oil and try aubergine from both sides on the medium heat until golden brown. Place fried aubergine slices on the paper towels so they can soak in the unnecessary fat. Take pita and smear 3 tablespoons of hummus. Place 2 to 3 slices fried eggplant followed by 1 tablespoon of tahini. Next put sliced eggs, Israeli pickles and some of the Israeli salad. Each pita drizzle with amba, and serve.